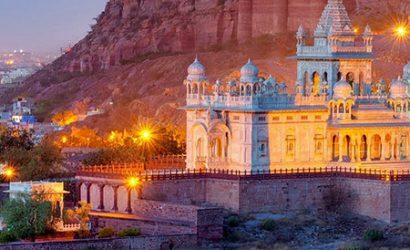 Being in the middle of a country as diverse as India, Central India affords the best of all to its guests. Primary spanning across the previously biggest Indian state of Madhya Pradesh, Central India is typically the hub of wildlife and there are hundreds of wildlife parks, sanctuaries within this region. Indian Holiday’s tours to Central India are elaborate affairs with excursions to Nagpur, Patna, Bodh Gaya etc. 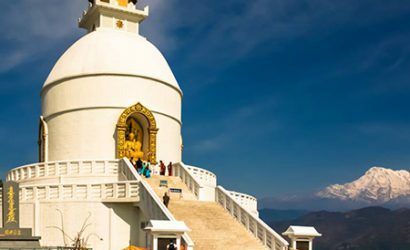 Central India tours are also preferred by Buddhist devotees due to the extensive coverage of Buddhist pilgrim destinations in some of the tours. The capital of India, Delhi is also pronounced as the cultural capital with a spectacular architecture of monuments and an amalgamation of different cultures that is a product of a 5000-year-old history. New Delhi is one of the most famous cities of the world. Though it recognizes over the world as the national capital of one of the largest countries of the world, India, New Delhi has a glorious past, and has enjoyed global fame for several centuries. Delhi has always had an inexplicable perpetuity that has witnessed empires rise to glory and fall to ashes. The modern Delhi is a culmination of seven cities built by different emperors from time to time. The remains of these ancient cities are found even today and are major tourist appeal. Among some stunning historic sites the most outstanding ones includes theQutubMinar, Red Fort, Jama Masjid, India Gate, Lotus temple, Humayun tomb and RashtrapatiBhavan. Delhi experiences an extreme climate, typical of North Indian cities. Summers are blazing with temperatures often crossing the 40 °C mark. Recent times have seen a rise in humidity as well. Winters are frosty with temperatures plunging below 5 °C. Light colored cotton clothing is prescribed for the summers, while heavy woolens and protective clothing are needed for the winters. The ideal time to visit New Delhi would be October and November, before the onset of winter. Art and culture have gone side by side and they have a strong influence over the citizens of Delhi. The Mughals ruled Delhi for a long period and the art during that period was worth seeing. Akbar has been known for his work on arts and crafts.Being the center of the nation has also made Delhi the cultural capital which not only boasts of many museums and art galleries but also plays host to a lot of events involving visual and performing arts. Delhi comes as a merger of the modern lifestyles as well as the old traditions and values. On one hand, we can see the Old Delhi still living in the past to some an extent and still upholding the values of the past. While on the other we see culture in New Delhi where people have become slaves of ostentations. There is the sound the Qawwalis of Nizamuddin Shrine, Gurbanis of Bangla Sahib and Aartis of ChattarpurMandir. At the same time, one can hear the loud and blaring music of pubs and discotheques. The Chhat Puja of Bihar is celebrated here with as much festivity as the Durga Puja of Bengal. There is also no difference in the celebrations of the Muslim festival of Eid-ul-Fitr and the Punjabi festival of Lohri. It is interesting to note that the culture of Delhi also shows some influence of the people of Haryana, Rajasthan, Uttar Pradesh and Punjab, since these states border the capital city. This diversity makes Delhi so lively and colorful. Indo-Persian art is reflected in Jama Masjid while the Birla Temple and the Chattarpur Temple complex exude amalgamations of North and South Indian architectural styles. Different Cuisines of Delhi makes the capital of India a haven for the gourmets. Delhi is a pot-pourii of culture along with different cuisines. People of various cultures inhabit here brought with them their cooking style and food habits from their native land. Thus we find a wide range of different cuisines available in and around the restaurants and local eateries of Delhi. People of Delhi are great food lovers. This gave rise to so varied and different cuisines in vogue and Delhi has become the “Restaurant Capital of India” with variety food outlets cropping up around the capital. History of India has witnessed the invasion of Delhi by various foreign invaders namely the Mongol, Arab, Afghan and English who brought with them their respective cuisines that became the popular and vivid Indian delicacies of today. Different Delhi cuisines include Mughlai cuisine, Punjabi cuisine, and International cuisines to name a few. Mughlai cuisines are best available in Old or Purani Delhi. The legendary Karim and Babu Khan are the renowned for Mughlai food. GaliChitliQabar and NalliNahari are the well-known places for Halim. ChandniChowk has an array of shops famous for different cuisines including sweets, main course dishes, snacks, different spices for special recipe and pans. Gourmets often queue in the famous ParanthewaliGali for Punjabi cuisines like the layered parathas with ghee and sometimes meat and egg stuffing. These traditional eating joints are crowded with foodies who want to taste different cuisines of Delhi. Cooler delicacies like the Almond Squash, AbriFalooda and GianijikaFalooda are the most refreshing drinks enjoyed in the summers by the people of Delhi. Typical Delhi kulfi with dry fruit toppings are the lip smacking ice creams sold in different outlets. They form a major part of the different cuisines favored by the Delhi populations. The roadside dhabas are the excellent hub of different cuisines available in the city at a low budget. Again the Chaat Corner at ChandiniChowk and RabriFaludas at Giani serve some of the authentic Delhi cuisines. Dossa-Sambhar is a particular point where one can enjoy south Indian delicacies. Marathi and Gujrati cuisines include Dhokala, Bada Paw and Paw-Bhaji is very popular among the mass. Oudh cuisines namely Nehari, Biryanis, Nalla and Kabobs are some of the mouth watering cuisines of the foodies. The Lal Quila or Red Fortwas built by the famous Mughal emperor Shah Jahan. This 360 year old architectural masterwork, sited next to ChandniChowk, is entirely built with red stone. Red fort was the quintessence of the supremacy of Mughal Empire. Shah Jahan laid the base of Red Fort after he transferred his capital from Agra to Delhi. Red Fort was also calledQila-i-Mubarak, which literally means the “blessed fort”. It was the official abode of the royal family. Red Fort also has a noteworthy position in Indian history. It was here the British Empire beheaded Bahadur Shah Zafar, the last Mughal Emperor marking the end of Mughal Empire and the start of British canon after the Revolt of 1857. This is also a important place in the Indian freedom fight as many prominent speeches were made in Red Fort. Today Red Fort is one of the most vital tourist appeals in Delhi, only half of the fort is unwrapped for public which comprises beautiful palaces, gardens etc. The imperative buildings in Red Fort are Diwan-i-Aam, Nahr-i-Behisht, Zenana, and MotiMasjit. At present, on the Independence Day every year the Prime Minister of India addresses to public from this stunning Red Fort. Akshardham Temple in Delhi has got an important place in the tourism section of Delhi. This marvelous structure depicts the great Indian culture and its architecture in a simple and immaculate way. This astounding construction comprises of 20,000 statues, floral motifs and exquisite carved pillars made of stones. Its construction is based on the ancient Sthaapatyashastras of India and it is built without steel, entirely out of sandstone and marble. This stunning structure and masterpiece structural design was constructed under the support and funding of the BochasanvasiAksharpurushottam Swaminarayan Sanstha (BAPS). Lying in the wide-open 100 acres of land, amidst luxuriant lawns adorned with water fountains and carved pavilions, the temple complex stand imposingly on the banks of the serene River Yamuna. Huge amounts of 2 billionshave been spent to raise this grand place of worship. The architecture of Akshardham temple is similar to the one at Gandhinagar in Gujarat. 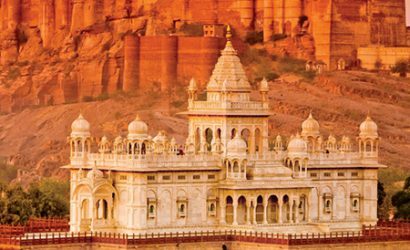 The main monument at the temple is about 141 feet high with a beautiful statue of Lord Swaminarayan. There are various structures within the temple which depicts the history and culture of Hindu Religion. 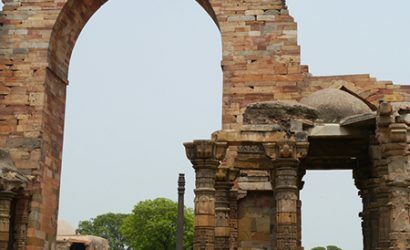 The Construction of the QutubMinarwas started in 1192 by Qutab-ud-din Aibak, the founder of Slave Dynasty and later finished by his son-in-law and successor Iltutmish. The elevated tower of QutabMinaris made out of brick tile and sandstones. QutubMinar is a superb example of Indo-Islamic Afghan architecture. Today, QutubMinar is a prominent part of the World Heritage Site community and endured the havoc of time extraordinarily. QutubMinaris encircled by a luxuriant green manicured garden, which is a much privileged leisure pad for Delhi locals. You can find tourists and locals dawdling around the whole winter afternoons here and there inside the tower. QutabMinar is among the tallest and celebrated towers in the world. The minaret is 234 feet high and the highest individual tower in the world. Other towers in the world are the Great Pagoda in Pekin, China and the Leaning Tower of Pisa in Italy but these towers are not as high as the QutabMinar in Delhi. It has a number of floors or storeys which has stunning carvings like the one on the tomb of Iltutmish. There are inscriptions all around the tower and these inscriptions divulge that Iltutmish completed the tower. The structure of the wall is made as such that it broadens from top to bottom, just to make the minar stronger. It had survived two times from the damages made through the lighting and the rulers of that time made the repairing to this minar. The minar is not that vertical as it used to be because of wears and tears over the precedent several years. Closely looking at the minar reveals you an idea that it is to some extent tilled towards one side. The minar is earnestly cared by the authorities much like other historic monuments in the country. One of the most striking specimens of modern architecture is the Lotus temple, an icon of Baha’i faith. It was finished in 1986 under the leadership of the Persian architect from Canada, FariborzSahba. Sited in Kalkaji, the entire temple has been erected out of milk white marble in the contour of a lotus. The temple structure comprises of 27 giant white marble petals and nine pools, indicating the nine uniting spiritual paths of the Baha’i faith, which believes in oneness of all religions and mankind. The temple is open to people of all religion and is more of a meditation hall. It is well known for its prayer sessions. Visitors are required to maintain silence inside the premises and entry is free for all. The Baha’i faith emphasizes on prayer, described as, ‘Conversation with God’ and meditation, described as ‘Key for opening the doors of mysteries’. The temple represents the broad views and scientific ideas of Baha’i faith and signifies the purity and the universality of the Lord. India Gate is situated on the Raj Path of New Delhi. India Gate was built by Edwin Lutyens to pay homage to the Indian soldiers who died in the World War I and the Afgan War. Closely looking at the walls of India Gate would let you know the names of 90,000 soldiers who died during the World War I, the Afgan War and the North-West Frontier operations. The structure was finally completed in the year 1921. India Gate was originally called the All India War Memorial. India Gate of Delhi is a 42 meter high gateway. Amar JawanJyotiwas built much later to commemorate the soldiers who died in the war against Pakistan in the year 1971 and ever since there is a burning “Amar JawanJyoti”, called as the flame of immortal warriors. The shrine is made up of a black marble and on the top of the shire there is a rifle with a soldier’s cap on the top. This commemorative is placed on the structure having inscription of “Amar Jawan” on all the four sides. Resting on a low foundation of red Bharatpur stone, the arch rises in stages to a huge molding. On both the sides of the arch the word INDIA is inscribed, along with the date, MCMXIV (1914) on the left and MCMXIX (1919) on the right. The best time to see Delhi India Gate is during nightfall, when it is magnificently floodlit. Splendid lawns, with a number of fountains, encircle the monument. These fountains present a breathtaking view at night when they make a lovely display with colored lights. JantarMantar- the astronomical observatory with masonry instruments was built in 1724 by Raja Jai Singh II of Jaipur in Delhi. Itis an outstanding and curious creation of Raja Jai Singh II, the mathematician and astronomer king. JantarMantar has instruments that can graph the path of the astronomical universe. The name of this noteworthy astronomical observatory, JantarMantar means ‘instrument for calculation.’ There is a colossal SamratYantra at the periphery of JantarMantar. To the south of SamratYantra there is an amazing instrument called Jai Prakash. The Jai Prakash here has two concave hemispherical structures and used for determining the position of the sun and celestial bodies. JantarMantaris built of brick rubble that is plastered in lime. You can see the following instruments inside the JantarMantar. All these instruments can be used for various astronomical calculations. Today the historical structure is encircled by new office buildings. JantarMantaris even used by modern day scholars to ascertain the location of the heavenly bodies in our universe. The entry to this amazing astronomical observatory is free. As it is located at the city center adjacent to the well know Connaught Place, you can easily reach Delhi JantarMantar without much hassle. If you visit the capital city of New Delhi, do not forget to have a glimpse of JantarMantar-a beautiful creation of the Jaipur King. Humayun’s tomb is an insignia of Mughal epoch of architectural grandeur. This monument is declared as a World Heritage Site by UNESCO in 1993. This tomb is located on the bank of river Yamuna. Humayun’s tomb introduced the ‘char bagh’garden style into the Mughal architecture. It has inspired many monuments built by later Mughals. His Persian wife, Hamida Begum, supervised the construction of his tomb from 1562-1572. It was designed by the Persian architect, Mirak Mirza Ghiyuath. The tomb took 9 years to complete with the expenditure of nearly one and a half million rupees. The Humayun’s Tomb is a 140 feet high structure with a central dome. The double-layered dome has a white marble exterior but the rest of the tomb is made of red sandstone, with white marble ornamentation. AppuGhar is an amusement park situated in PragatiMaidan, Delhi. The first amusement park of India, it was inaugurated by Late Shri. Rajiv Gandhi in November 1984. It was the dream of the Late Prime Minister Smt. Indira Gandhi. It spread outs over an area of approximately 15.5 acres. Formally opened under the auspices of International Amusement Limited, AppuGhar of Delhi was extended a few years back. A water park, OYSTERS, was added to the present park. One can also find fast food centers and gift shops inside the park. AppuGhar at New Delhi is also recognized as a mini Disneyland. Some of the admired rides at AppuGhar are Roller Coaster, the Big Splash, Dodgem Cars, Cable Car, Speeding Car, the Eerie Tunnel, Giant Wheel and Appu Columbus. The OYSTERS spread over an area of 3.5 acres offering attractions during both summers as well as winters. During summers, it offers water rides, rain dance, swimming polls, etc. While, in winters it is renowned for a variety of ice-games like sledding, skiing, ice boating, ice bowling, ice dance, etc. RashtrapatiBhawanwas previously known as ‘Viceroy’s House’ and was engaged by the Governor-General of India, until liberty. Also known as President’s House, the building holds a prominent position in New Delhi. Designed by the British architect, Sir Edwin Lutyens, this classical building uses colors and details peculiar to Indian architecture. It was completed by 1929 and was officially inaugurated in 1931. It was in 1950 that President started living in this ceremonial building and the ‘Viceroy’s House’ was renamed as ‘RashtrapatiBhavan.’ It has 340 decorated rooms and a floor area of 200,000 square feet. RastrapathiBhavan is the official residence of Indian President. It is a real masterpiece that was built during the British reign. It is the center of attraction in New Delhi located in the Raisina Hills. The total cost of constructing the RashtrapatiBhawan crossed £12,53,000 in British India. The wide range of markets of Delhi is interesting for having their own idiosyncratic ambience and essence. In Old Delhi, the congested and most densely populated market of ChandniChowk has survived for more than three centuries. Strewn richly with historical landmarks, this shopping area has shops, which are more than 100 years old. The narrow streets and by lanes offer a plethora of surprises and here, one can get some of the best bargains in India. One of the narrow streets branching off from ChandaniChowk leads to ‘Dariba Kalan’. It is known for its beautiful pearl, gold and silver jewelry. One can also buy natural perfumes or ‘itra’ here. Spices are the specialty of Khari Baoli, while Kinari Bazaar is the best place to look for ‘zari’ and ‘zardozi’ trimmings and tinsel. Retaining the old-age charm, these markets provide you the opportunity of witnessing skilled craftsmen at work, while manufacturing items for sale on site. The antique stores behind Jama Masjid, lining the entrance to the Red Fort, have replaced the Meena Bazaar of the yore and offer traditional jewelry, paintings and furniture. The other by lanes of ChandniChowk that are popular include Katra Neel, the cloth bazaar offering all kinds of fabrics such as silks, satin, crepe, cotton and muslin. Bhagirath Palace is Asia’s largest market for electrical goods and offers medical equipment and allopathic medicines. It is also famous as ‘Chooriwaliki Haveli’ or the Bangle Seller’s Palace, amongst locals. Raj Ghat is the final resting place of Mahatma Gandhi, father of our nation. One can pay the homage by visiting the Raj Ghat. This was built to honor the memory of Gandhiji and this commemorative draws millions of people throughout the year. Black marble platform represents the cremation spot of Mahatma Gandhi in 1948. There is a small flame burns ceaselessly at one corner of this marble platform. Well-landscaped sprawling lawns encircle the platform. A stone alley leads to the cenotaph that is inscribed with his last words “Hey! Ram”; All visitors are requisite to remove their footwear before entering the composite. Nizamuddin’s Shrine is a renowned holy place in Delhi. It was built to respect the memory of the eminent Muslin Sufi saint, NizamuddinChisti. Striking architecture echoes the blend of the Indo Islamic style, rife during that era which is also echoed in the tomb’s structure. Within the shrine composite, there is a water tank with several tombs built around it. Out of the many, one of the tombs is of Jahanara, daughter of Shah Jahan whilst another is of AamirKhusro, the prominent Urdu poet during the Mughal era. On Every Thursdays, traditional Quawaali singers present their skills.